Germany’s Lufthansa reported a 1.8 per cent increase in 2016 passengers on Tuesday but it was not enough to stop Ryanair overtaking it as Europe’s largest airline in terms of the number of people it carried. 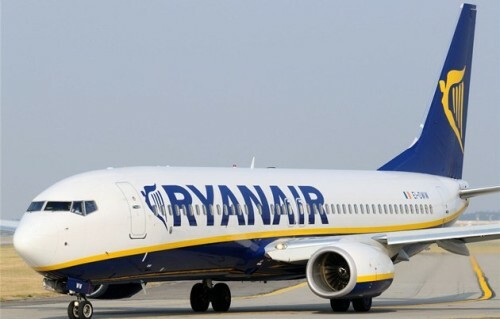 Lufthansa’s 109.7 million passengers in 2016 came in short of the 117 million passengers reported by Irish low-cost carrier Ryanair last week, a 15 per cent increase on the previous year, as Ryanair pulled in passengers with low prices. Despite losing its number one slot, Lufthansa is positive for business in 2017, even after its share price was knocked this week by analyst downgrades, the airline’s chief executive said on Tuesday. “We had our first board meeting of the year and we have a quite positive spirit towards 2017,” Carsten Spohr said in Frankfurt. Lufthansa said on Friday that it expected its fuel bill to rise by 400 million euros ($423 million) this year. Its share price dropped almost 6 per cent on Monday and had lost up to 3 per cent again on Tuesday after analysts said 2017 could be tough for European airlines’ profits given the rising oil price. Lufthansa is growing its Eurowings unit rapidly this year thanks to the takeover of Brussels Airlines and a deal to lease crewed planes from Air Berlin. When asked if Lufthansa could take over the rest of Air Berlin, Mr Spohr said there would be three main problems – Air Berlin’s high cost base, its debt pile of over €1 billion (Dh3.88bn) and antitrust restrictions. As well as Ryanair, last year saw strong performances from other budget carriers, with Norwegian Air Shuttle reporting passenger numbers up 14 per cent to 29 million and Wizz Air up 19 per cent to 22.7 million. EasyJet, which suffered more than low-cost rivals from strikes in France and as tourists avoided destinations hit by attacks, grew passenger numbers by 6.6 per cent to 74.5 million. « MEGA HIT! Cheapest flights to San Francisco in history: only €146!! !